I was fortunate to be assigned to walk in the woods, take photos and generally enjoy the experience at Fernandez Ranch by Restoration Design Group. RDG is the contractor that helped design and implement lots of great interactive improvements that allow for greater access and enjoyment of the ranch. It’s worth a visit to John Muir’s backyard. 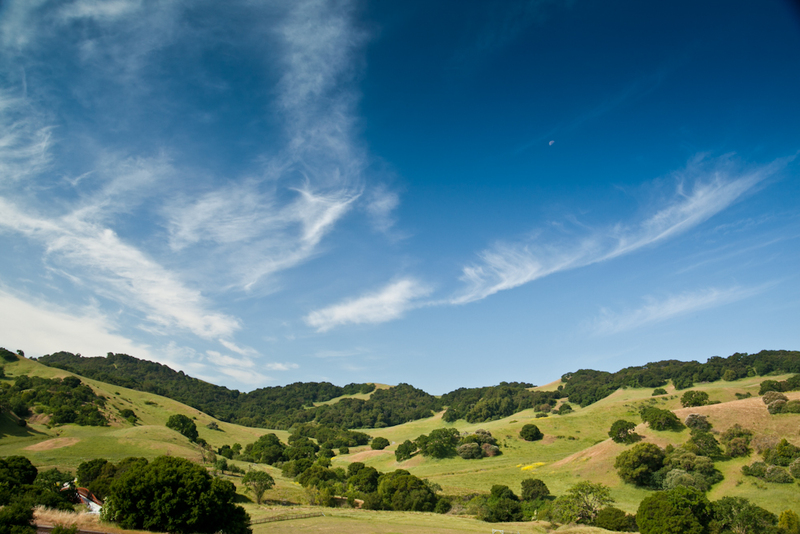 Fernandez Ranch is a new preserve that was acquired by years of hard work by the Muir Heritage Land Trust. 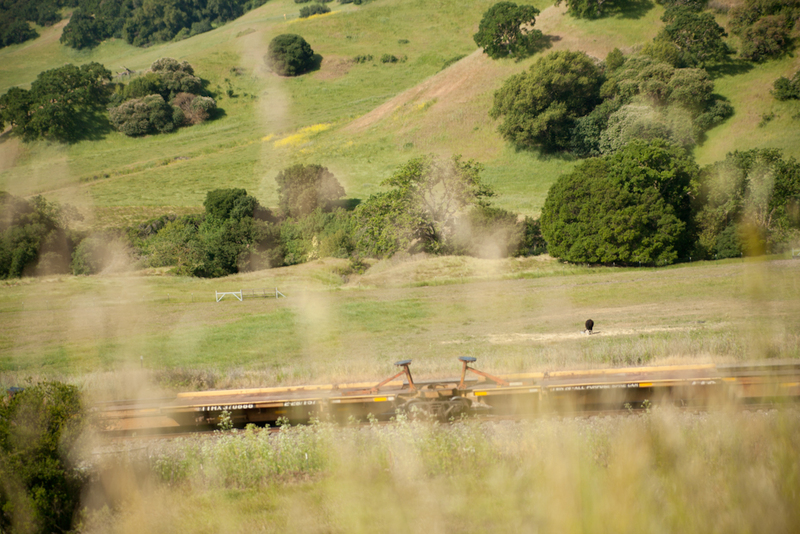 They’ve been doing some phenomenal conservation work in the East Bay for many years. The Ranch is now open to the public and it is quite the treat. 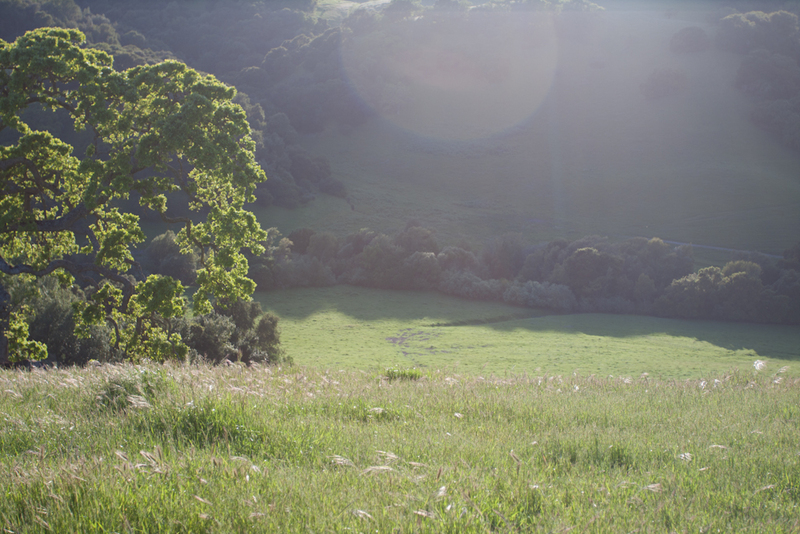 Quiet and inviting, this landscape is the quintessential East Bay embodiment of rolling hills and grandiose oaks. Surely you’ll have a peaceful time here because it doesn’t get regular visitation… yet. The most notable site improvement is the classic big orange bridge that spans Rodeo Creek that drains into the highway 4 corridor. 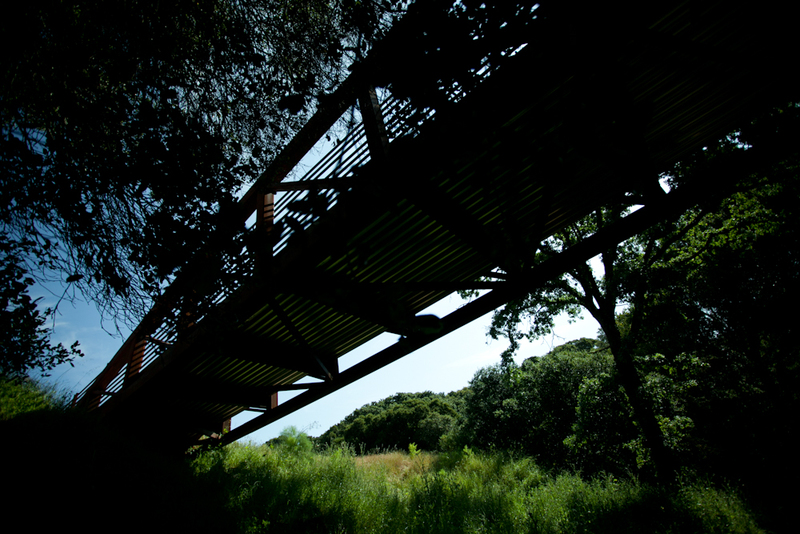 This bridge is big and built with a bucolic sense, fitting into the landscape nicely – did you notice it in the top photo? 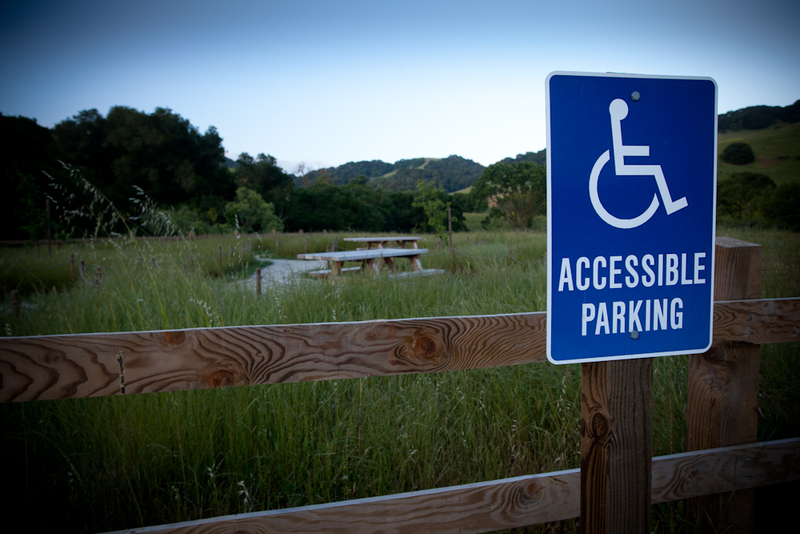 Along with being able to hop over Rodeo Creek easily, access for all people was a mainstay of recreation design for this ranch. 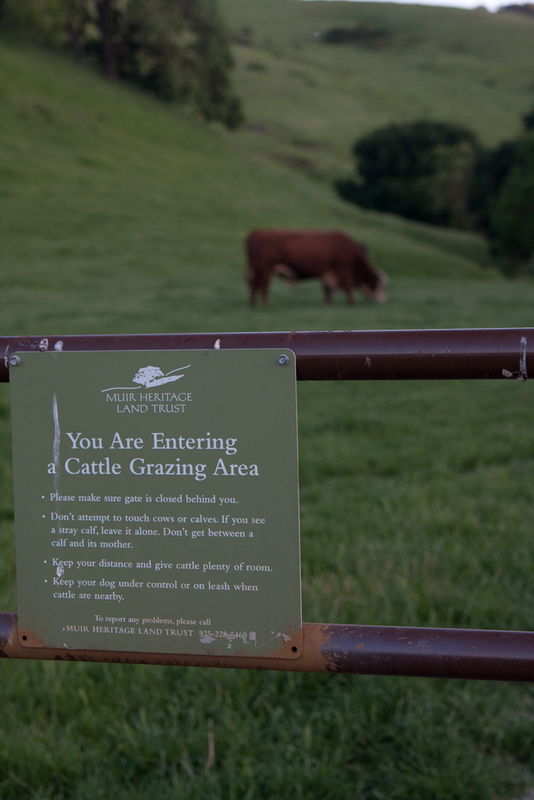 I greatly appreciate the effort to convey the importance of grazing in grassland management. Many of our landscapes require grazing in order to maintain biodiversity. The question of grazing is not “if”, but “how” and “when”. 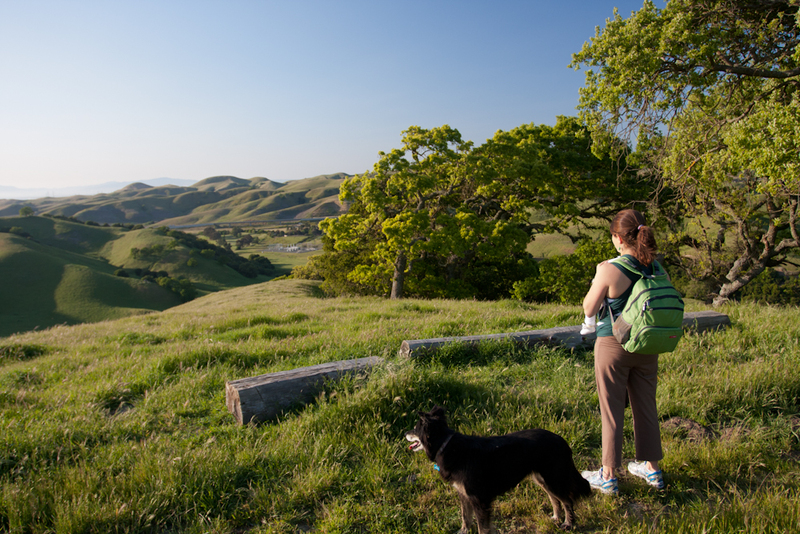 Remarkable views and places of peace lie along the trails. I especially love this natural bench/rest created from wood found on-site. Go visit Fernandez! Oh, and don’t think I’ll forget to post a native wildflower in here. 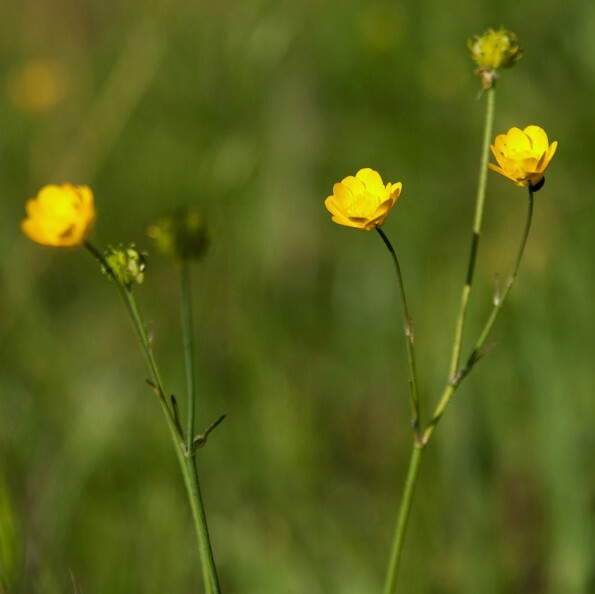 California buttercups (Ranunculus californica) abound here! I greatly enjoyed your photos! I grew up running with my 26 cousins in these hills. It is such a joy to know that our family’s land will always be preserved for future hill excursions. Thanks for the sweet note! 26 cousins is quite the family. The ranch is a beautiful place I enjoyed greatly. Let me know if you’re interested in any of the photos, I’d be happy to offer them a very reduced cost for personal/family use. I have a nice panoramic that will print 6 feet long.